Technology News LIVE Updates: Samsung Galaxy S10 leaks to Apple iPhones being pulled out of Germany’s stores, here are today’s updates. In today’s live blog of all the big events from the world of technology, we take a look at the new leaks around Samsung Galaxy S10. 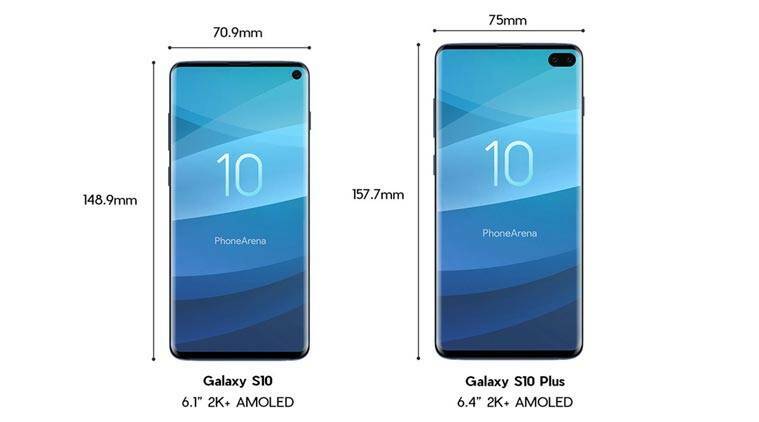 One image gives us a clear look at the Galaxy S10, which could have a flat-screened device, while another report talks of five models. The Galaxy S10 could have a 5G variant as well, with four cameras at the back instead of three cameras like on the Galaxy S10 Plus. Samsung could also introduce a notch on its Galaxy M phones and these will be called the Infinity V notch displays. Meanwhile, Huawei has punished two employees over tweets that went out from an iPhone promoting the company’s P20 series. Popular mobile game PUBG could get a new update soon and this one might have an autorickshaw added to it. Apple’s iPhones are set to be pulled off stores in Germany thanks to the Qualcomm patent battle, according to reports. Meanwhile, January will also see a partial solar eclipse and total lunar eclipse. 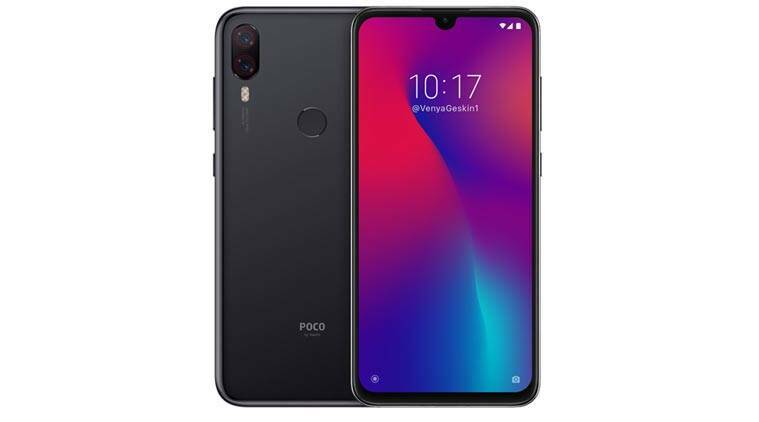 Xiaomi’s Poco team might insist they are not yet working on a new device, but image renders for the Poco F2 are already online. A new one has been shared by noted tipster Ben Geskin on Twitter. This one shows the Poco F2 with a waterdrop design notch, which would be a change from the earlier design. The device also has a dual-rear camera which is vertically aligned. Again this is just an image render, so take it with a pinch of salt. After the historic flyby of Ultima Thule, NASA’s New Horizon’s spacecraft has set off on a new hunt for moons in the solar system’s most distant edge. The spacecraft, which is roughly the size of a piano, is now traveling deep into the ring of celestial bodies known as the Kuiper Belt looking. 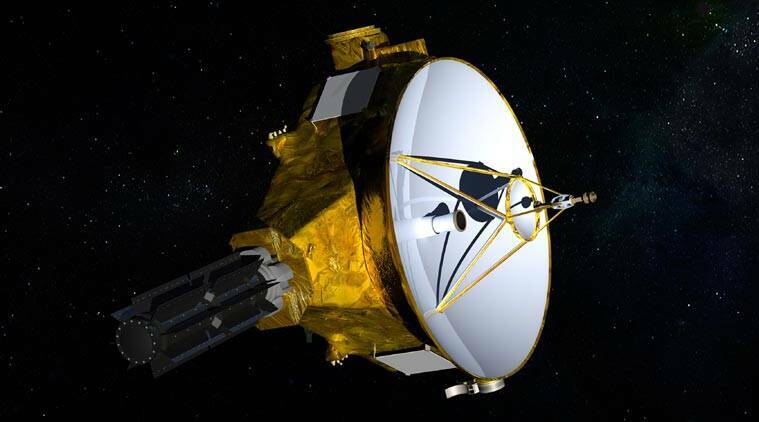 The spacecraft will look for small, icy moons that spun off the snowman-shaped Ultima Thule formation, according to a Reuters report. Read more here. A new leak on XDADevelopers indicates the new Mi A3 could be in the works from Xiaomi. The Mi A series is the Android One from the company. According to the report on XDA Developers, they have found the codename “orchid_sprout” in the latest Android Pie-based MIUI 10 firmware, and given the previous Mi A2 variants had a similar codenames, it is safe to assume this is the Mi A3. Sadly the leak does not reveal anything else. Motorola P40 is supposed to be the next variant in the P series, and this time the device will be made available globally. 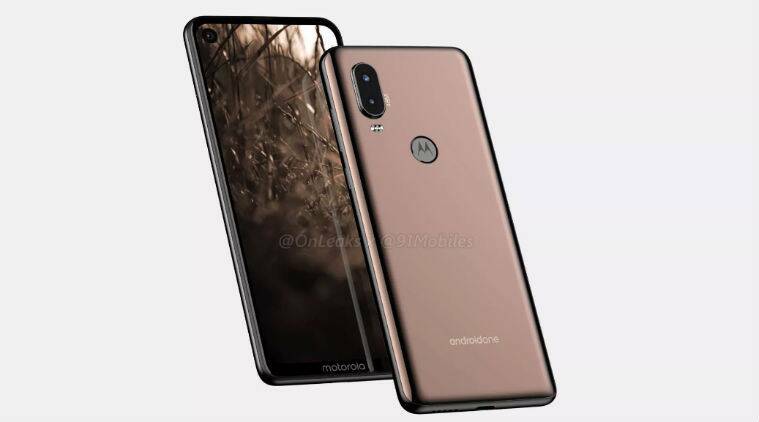 According to the latest leak, Motorola P40 will have a punch-hole display, 48MP rear camera and will also be an Android One smartphone. Twitter user Andri Yatim has revealed more details that Motorola P40 will be powered by the Qualcomm Snapdragon 675 processor, a 6.2-inch HD+ IPS display, and a 6GB RAM + 64GB/128GB storage options. Read more here. Samsung will go for a notched display in the Galaxy M series. The M10 and M20 will have an Infinity V notch display, and will be powered by the Exynos processor. Samsung will also be looking at a price range of Rs 10,000 for the base M10. Previously we have seen reports says Samsung Galaxy M series will launch in January 2019, and come with three options: Galaxy M10, M20 and M30. 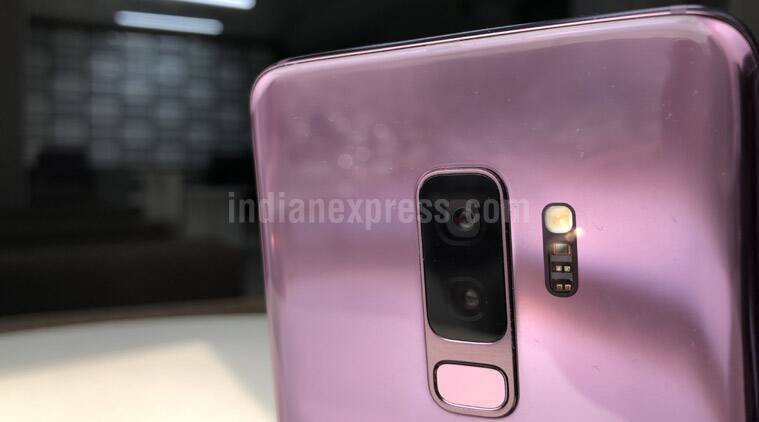 A support page of the Galaxy M10 phone has also been spotted on Samsung’s own India website. Read more here. 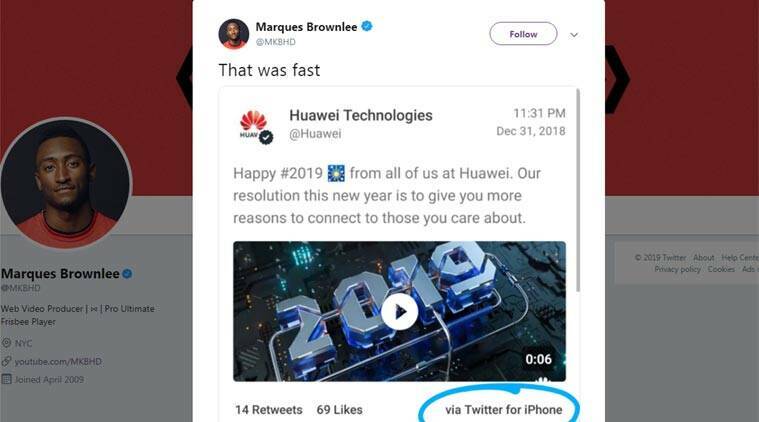 Huawei bosses were not amused after a tweet wishing New Year greetings from the company’s official Twitter account was sent out using an iPhone. This is not the first time that a brand page for a smartphone has made the faux. YouTube MKBHD has become resident Twitter police, naming and shaming accounts that keep promoting smartphones from other brands using an iPhone. He has also pointed out how celebrities who are endoring a phone often tend to tweet from an iPhone. According to Reuters, in Huawei’s case, an internal memo by corporate senior vice-president and director of the board Chen Lifang said, “the incident caused damage to the Huawei brand.” . Apple is getting to remove some iPhone models from retail stores in Germany after a court ordering in the ongoing battle with Qualcomm. The chipmaker has also taken steps to enforce the court order banning the sale of some iPhone models in Germany, and posted bonds of 1.34 billion euros ($1.52 billion) as part of a legal requirement. Apple was seen as infringing on Qualcomm patents b the court. 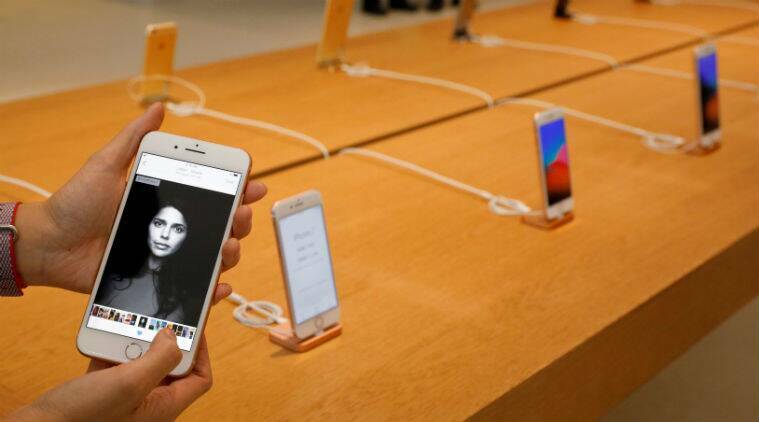 China has similarly ruled against Apple. According to Reuters, Apple had earlier said it would pull iPhone 7 and 8 models from its 15 retail stores in Germany when the order came into force. That order took effect when Qualcomm posted the bonds. Read more from the Reuters report here. 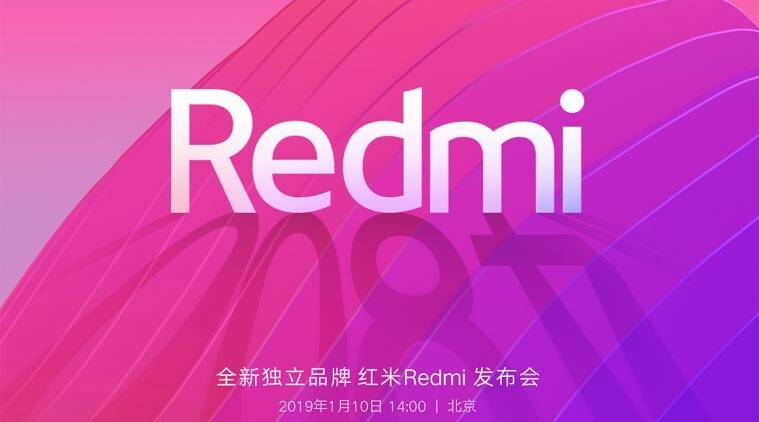 It looks like Redmi will become a standalone brand. This was confirmed by Xiaomi CEO and co-founder Lei Jun on China’s Weibo platform. He said that the Redmi brand will focus on the ultimate price/performance ratio, whereas Xiaomi to focus on mid-to-high-end and new retail. The difference between Mi and Redmi phones is about to get clearer. For Xiaomi, Redmi phones have been driving the volume, especially in India, where the Mi flagship brand has not really taken off. Jun also made it clear that all Redmi-branded smartphones will be sold on online channels. Xiaomi also operates Poco, a sub-brand it created last year to take on OnePlus. The news comes as Xiaomi is getting ready to announce a new Redmi Pro 2 phone with a 48MP rear camera. Read more here. Another report on Techtastic from Netherlands has given out detailed specifications of the new Galaxy S10 series. The report says there will be five models of the Galaxy S10. Galaxy S10 Lite, Galaxy S10 and Galaxy S10 Plus. Then there will be a Galaxy S10 5G and Galaxy S10 Bolt. The 5G and Bolt variant will come with dual front cameras and four cameras at the back. Both will support 5G and have a 6.7-inches 2K SAMOLED display. However, the Bolt variant will have a ceramic back, in contrast to the Galaxy S10 5G, which will have a glass back. The report also says that the Galaxy S10 Lite will have a flat display. The Galaxy S10 Plus will have triple cameras at the back and a 6.4-inch display with triple cameras. 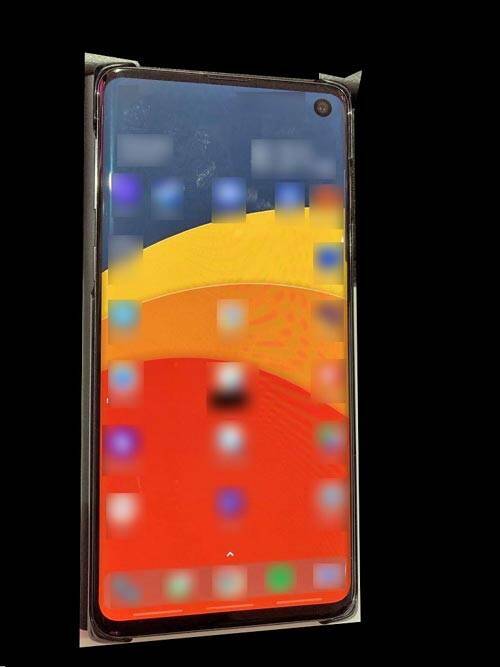 Samsung Galaxy S10 has been revealed in a new image by tipster Evan Blass on Twitter. The image shows a flat-screened display with an edge-to-edge design and hole for the front camera. It also appears that the device will come with the ability to wirelessly charge other devices like wearables, according to Blass’ tweet. Dyson Pure Cool Advanced Technology Desk review: Healthy air ..